The Eclipse 8 ½" X 11" Portfolio ensures that you have pen and paper handy, whenever you may need to jot down something that is important. 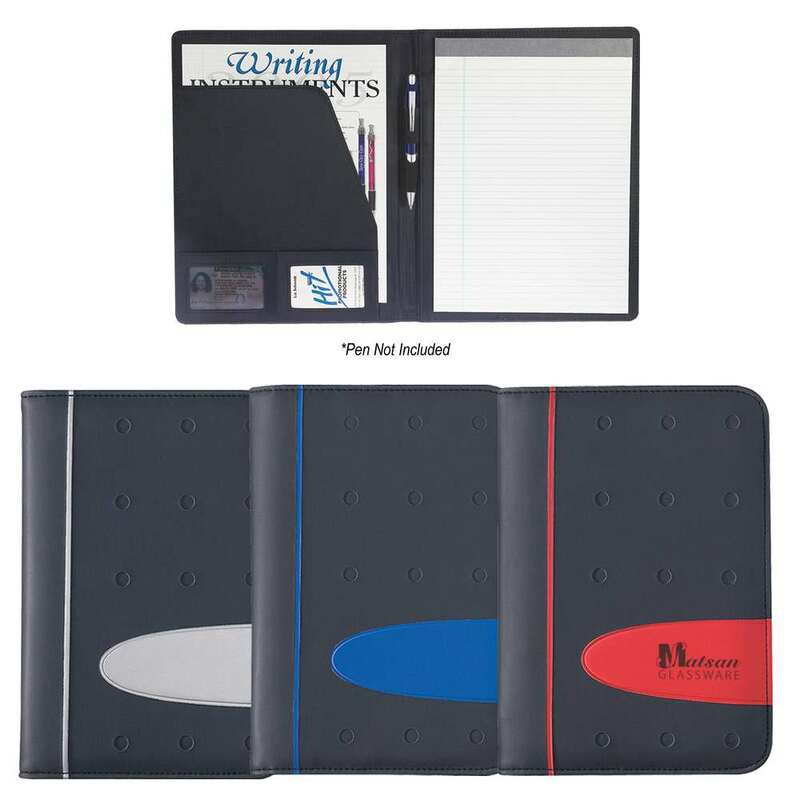 It includes a 30 page 8 ½" X 11" writing pad made of PVC material. The Eclipse 8 ½" X 11" Portfolio ensures that you have pen and paper handy, whenever you may need to jot down something that is important. It includes a 30 page 8 ½" X 11" writing pad made of PVC material. It has card holders, an elastic pen loop, and an inside flap pocket. Imprint your company’s logo on the front of the portfolio, to increase brand awareness. Give away this useful, stylish, and affordable product at offices, seminars, and conventions to maximize brand exposure. Minimum number of items in each order: 20 items.